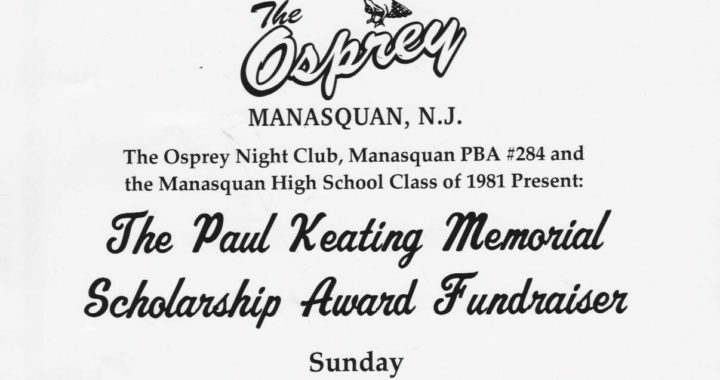 We gather to remember the life of Paul Keating, a New York Fireman and Manasquan High School Graduate who lost his life during the 9/11 World Trade Center attack. Join us for an afternoon filled with Live Music, Food, and Entertainment in support of the Paul Keating Memorial Scholarship Fund. $10. Donation at the Door and all Proceeds Benefit the Manasquan High School’s Scholarship Fund. 50-50 Raffle, Tricky Trays, and More!